Buy from stores around your area, Enugu and Nigeria. Get your gas cylinder refill in less then 30 mins from stations close to you. Buy delicious meals from restaurants in your area and Enugu. Buy from verified manufacturers in Nigeria and Africa in Bulk. We, at Ogwugo.com, are no different from our clients - we too would like the service or product that we buy online to be exactly as described, so that we won't need to spend additional time or money in order to make it right. That is the reason why we took the decision to establish trusted product policy on our online market place, so that we could provide the service that we ourselves would like to use. Is that all you need? Join our network and connect with buyers around the world. Sell your brand to the world, be you a manufacturer, fashion designer, shoe manufacturer, large scale farmer, Ogwugo Africa is a place to sell your products in bulk to anyone on anywhere on the planet and even to those that live on the moon! We provided instant delivery so that you can sell your product or food to people around your area. Join the Ogwugo Market and increase your customer base and also access to a valid inventory portal and sales tracking. In the local market, sellers can sell all range of product and collect the fund instantly as our experienced Riders come to pick up the orders. Almost anything can be sold except some special products. Get a wide range of amazing products at your fingertips! 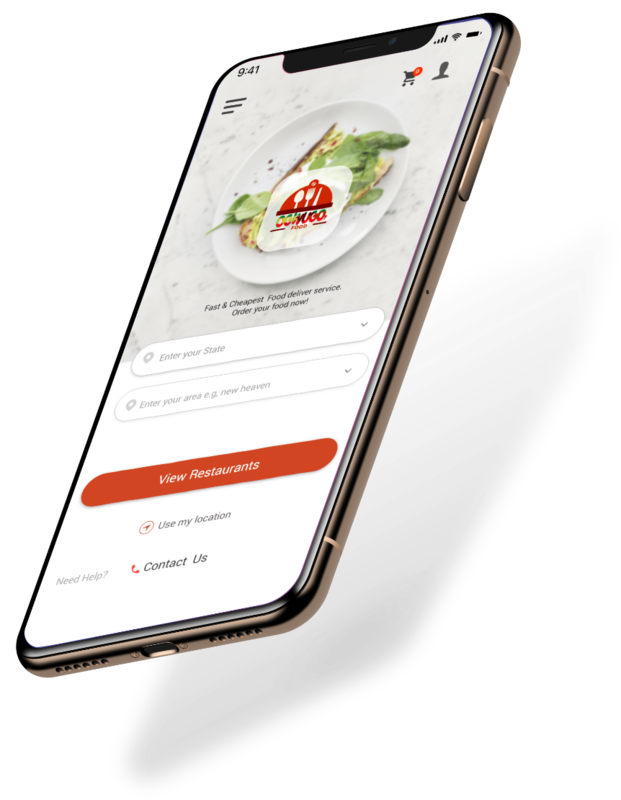 A little bit of what the user can do with the APP: The ogwugo mobile app is available for both android and IOS users, it enable you place instant order for different range of products including food around your area and most especially in Enugu state. 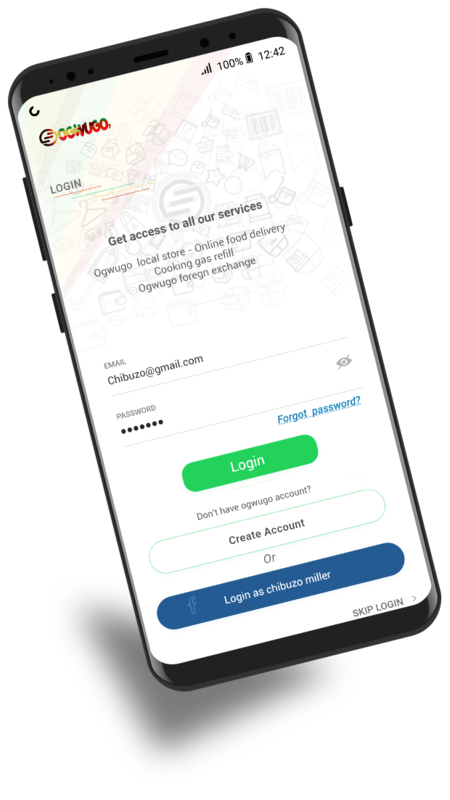 The app will not enable you order bulk goods, or order products manufactured in Nigeria from other countries, for this visit the bulk market, Ogwugo Africa where bulk goods are sold online.